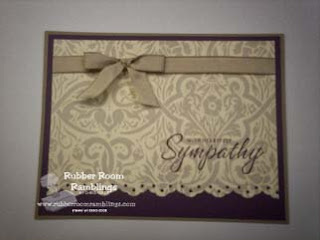 Rubber Room Ramblings: BELLA BLEAU DESIGNS SERIES PAPER! This was a card my Ohio roomie, Keri Blake, swapped wtih me. She used the Bella Bleau DSP and the sentiment is from Close as a Memory. I love this elegant look!